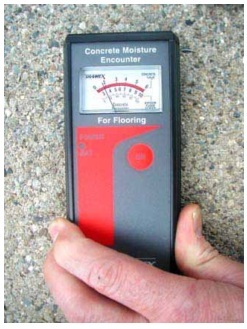 to check whether drying measures were adequate prior to applying a coating or an overlay on an existing element or floor. 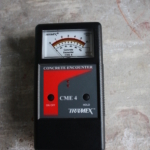 The Moisture Encounter is a totally nondestructive instrument that indicates moisture content by means of an impedance measurement. 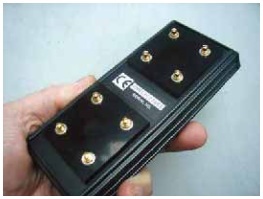 Parallel co-planar electrodes fitted with spring-loaded contacts are mounted on the base of the instrument, as shown to the left. 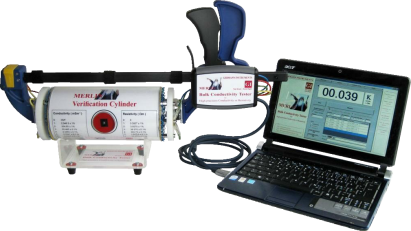 During operation, a low frequency electrical signal is transmitted into the test material. 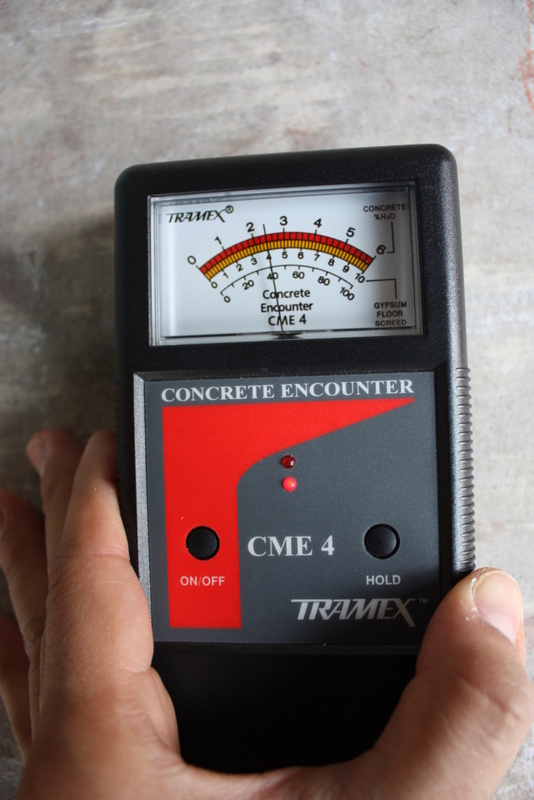 The level of moisture in the material affects the impedance measured by the instrument. The detection depth is 15 to 25 mm. 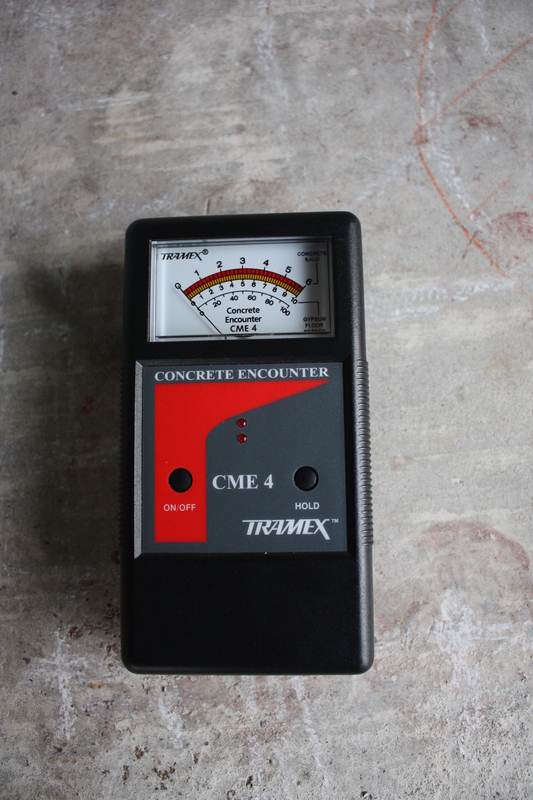 For concrete with compressive strength between 20 MPa and 45 MPa, the Moisture Encounter is accurate within ±0.5 % for moisture content in the range of 2 % to 6 %. 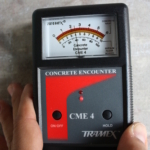 The coefficient of variation of replicate measurements on concrete with the same moisture content is about 5 %. 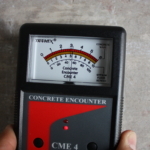 The presence of chlorides affects conductivity of the concrete and the may give erroneous readings. In such cases, the relative scale (0 to 10) on the meter can be calibrated by taking readings with the meter, removing samples, and measuring their moisture content by oven-drying.